The day after the storm. 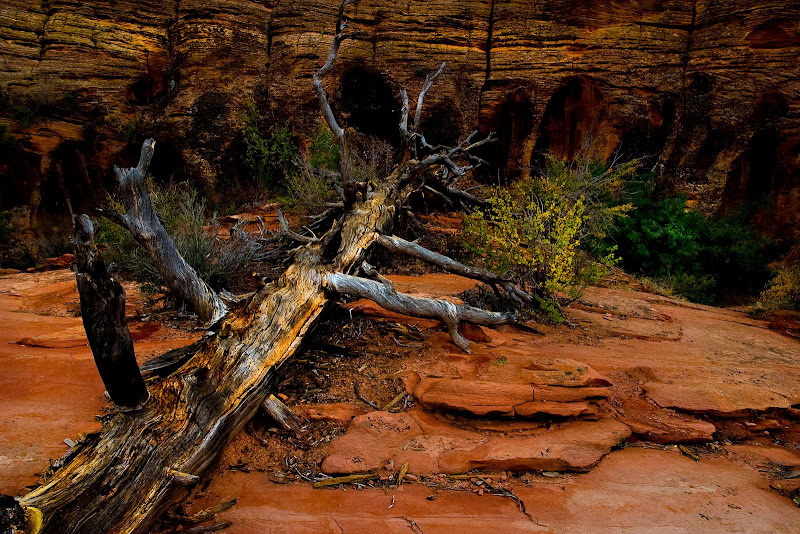 There was drift wood and debris scattered all along the washes and canyons. I came across this fallen tree, and although it had fallen long before the storm, it captured the feeling of the day. Storms do not wash away the old, leaving the desert shiny and clean. Storms leave a path of destruction that adds to the beautiful contrasts found in this unique landscape.